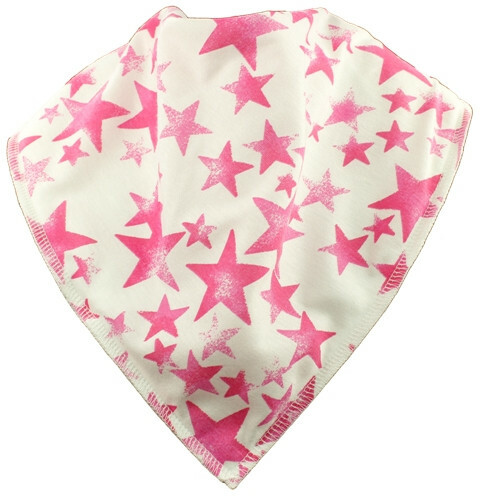 A beautiful white bandana bib with vibrant pink stars. White fleece and stitching. Size 1 are suitable for children of aged approx 5-10 years. Bibble Plus+ are hand made with a unique combination of cotton and fleece which means that the outer layer absorbs wetness whilst the fleece under-layer acts as a barrier, preventing clothing and the wearers chin from becoming wet and uncomfortable.